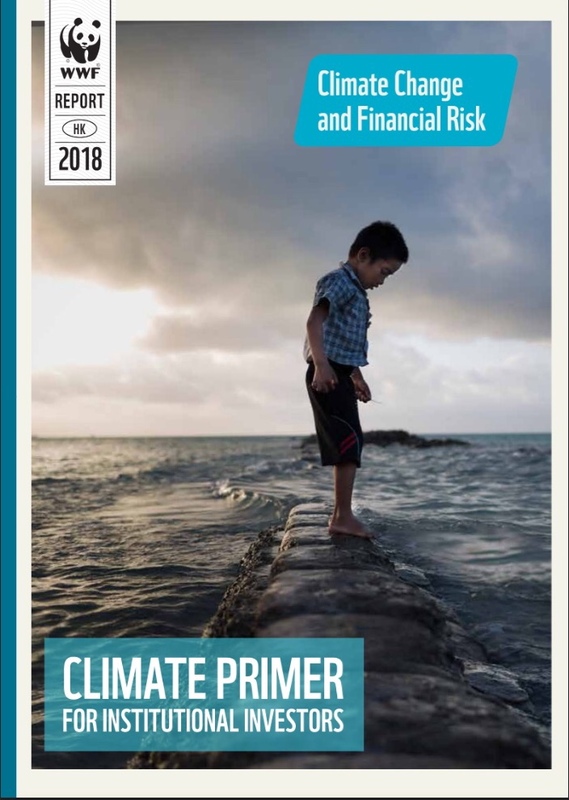 The urgent need for institutional investors to factor climate change risks and rewards into portfolios and recongise the potential impact that environmental factors can have on global financial stability is the driving force behind the recent publication of WWF-Hong Kong’s Climate Primer for Institutional Investors, sponsored by Credit Suisse. The publication is intended to give regional investors a fundamental understanding of the key issues of climate change, focusing on the science involved, the ongoing policy response, evolving technological approaches, and how these factors are linked to the financial sector. Awareness of the financial risks presented by climate change differ by geography, with relatively lower engagement with the issues in the Asia Pacific region. “Institutional investors are becoming more aware of the risks to their investments from climate change and we have started to see some investors in Europe and the US taking action on this issue,” said Jean-Marc Champagne, Head of Environmental Finance at WWF-Hong Kong. “Our finance program’s core objective is to get investors in Asia to start taking action.” To this end, WWF-Hong Kong is currently holding a series of workshops, sponsored by Konrad-Adenauer-Stiftung(KAS), with institutional investors across Hong Kong. The special report on global warming of 1.5oC published by IPCC (Intergovernmental Panel on Climate Change) highlights urgent action is needed. The existing pledges under Paris Agreement are not enough to limit warming to 2oC, much less 1.5oC. Rapid and deep cuts to carbon emissions is necessary across all sectors such as energy, food, agriculture, industry, buildings and transport to avoid more severe impacts to ecosystems. WWF-Hong Kong urgesthe government to step up commitments, set ambitious targets, strengthen policies and encourage regional and local investments to tackle climate change with the support of environmental financing. 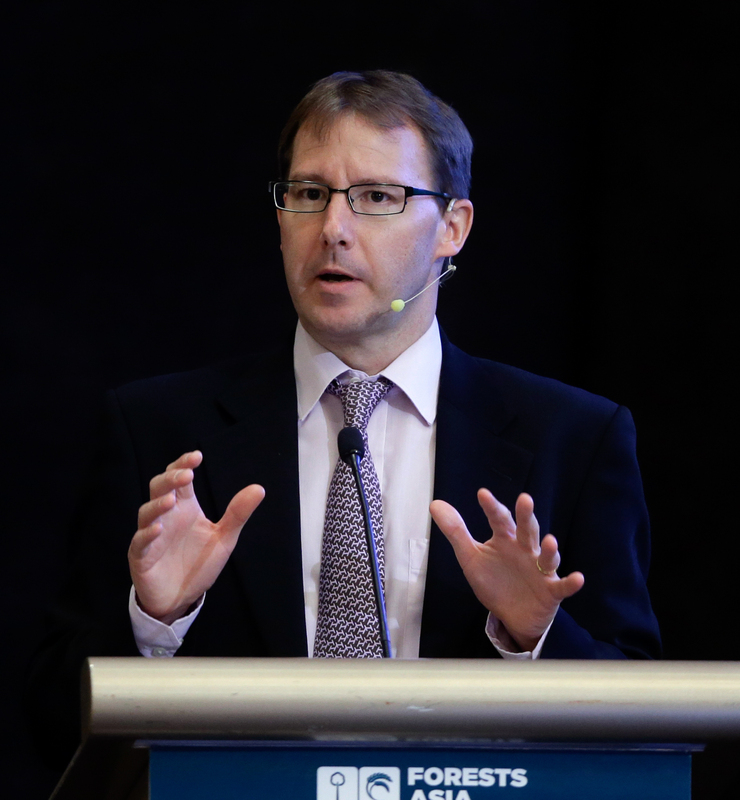 Mr. Ben Ridley, Deputy Global Head of Sustainability Affairs at Credit Suisse. 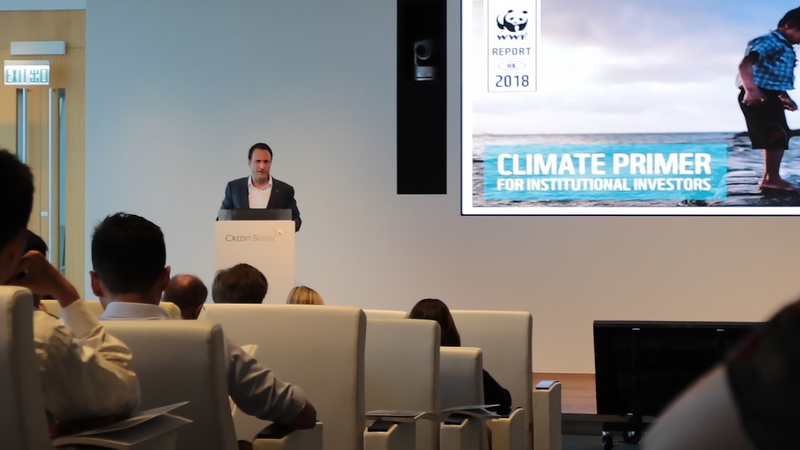 Mr. Jean-Marc Champagne, WWF-Hong Kong’s Head of Environmental Finance, speaking at the launch event of Climate Primer, hosted by Credit Suisse.